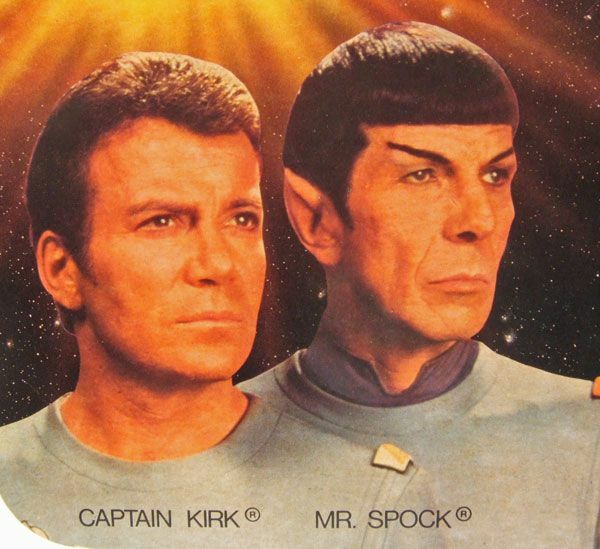 Kirk & Spock were released (separately) as part of the merchandising blitz of "Star Trek: The Motion Picture"... way back in '79! 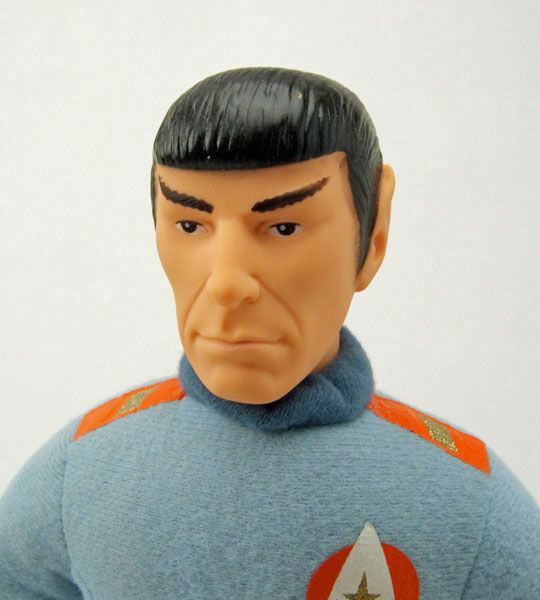 The Rundown: After posting the spotlight on the 12.5" Spock figure the other day, I got some feedback from folks expressing some disappointment in the Mego TMP head sculpts. 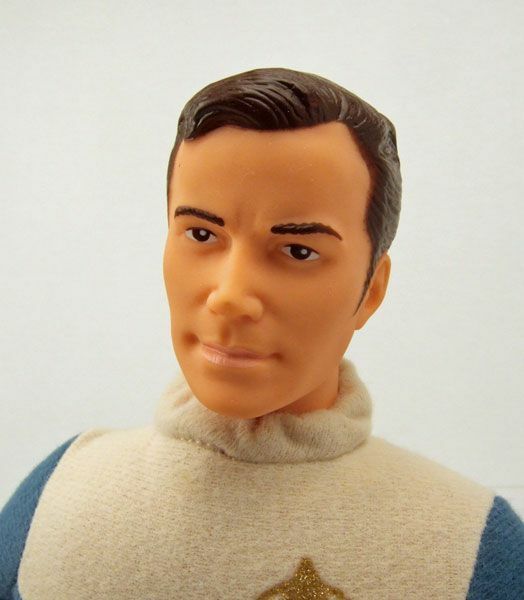 Some people said that they didn't think the Mego heads were nearly as nice as the heads found on the Knickerbocker plush Kirk & Spock. 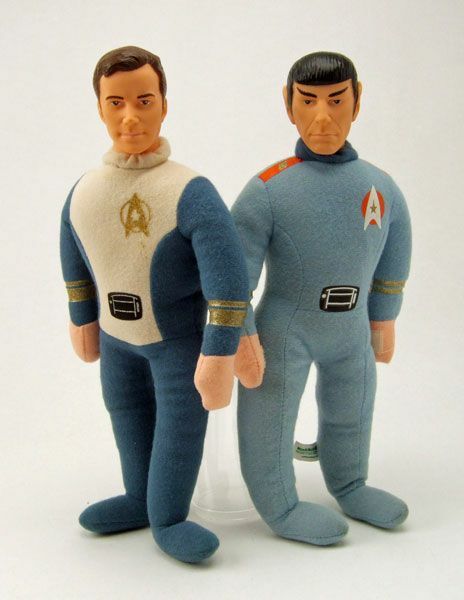 So I decided to dig out my cuddly Kirk and semi-squishy Spock for today's spotlight and let you guys judge for yourselves which company pulled off the better likenesses! Before we take a closer look at those heads, let's talk a little bit about these guys. 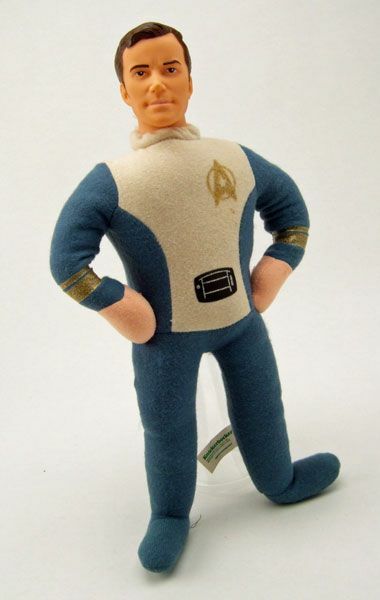 If anyone needed proof that a lot of companies were banking on "Star Trek: The Motion Picture" to bring in the same sort of merchandising dollars that "Star Wars" had in 1977, then look no further than the Knickerbocker plush dolls. 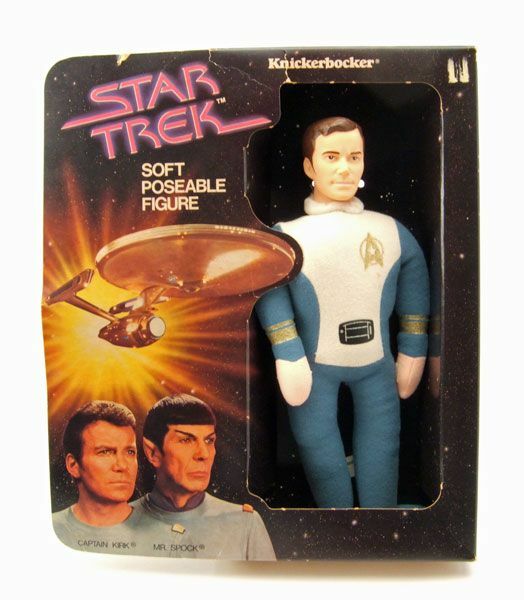 Seriously... did Knickerbocker even have a clue what TMP was going to be like when they decided to make these? Don't get me wrong- I LOVE the original motion picture... but I know that it isn't a movie most little kids are going to enjoy. 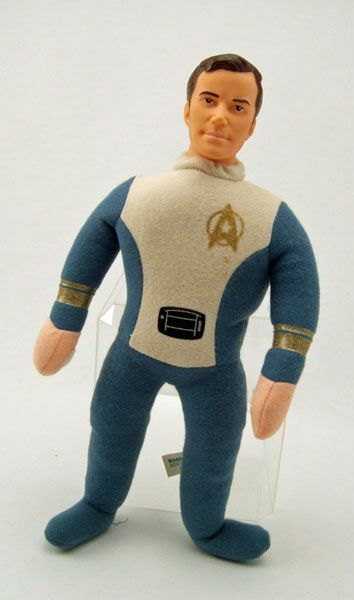 Especially not enough to make the parents rush out and buy stuffed versions of the crew for them to snuggle at night. Okay. So the heads turn. What else ya got? 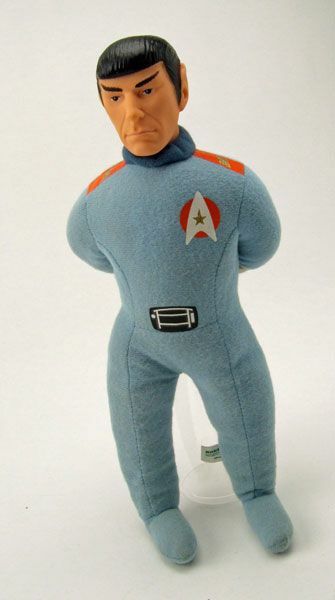 Doesn't Kirk look commanding there now? And what of Mr. Spock- Do his velcro palms allow him to strike an inquisitive stance? 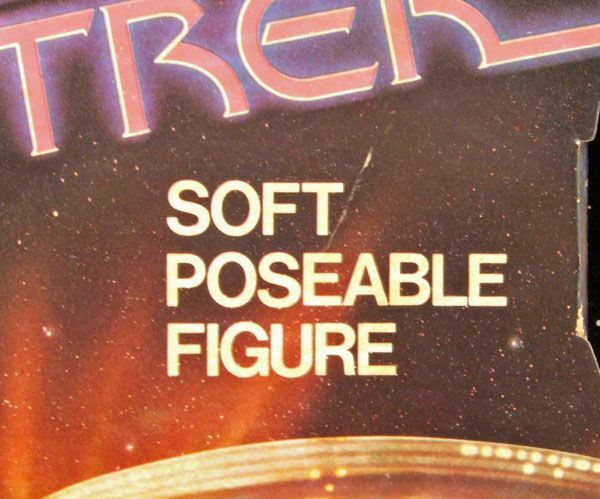 In all seriousness, to call these "poseable" is quite a stretch. 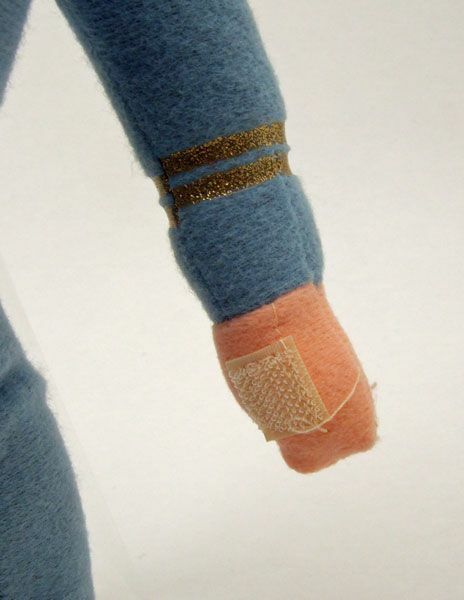 In order for me to consider a plush toy poseable, the body should have inner wiring or something that allows the figure to be posed in certain positions without any support. These don't have that. 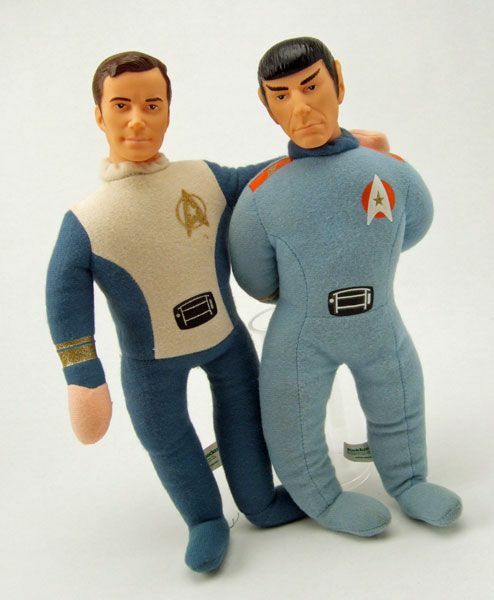 Don't try getting all fancy on me Knickerbocker... these are plushes. 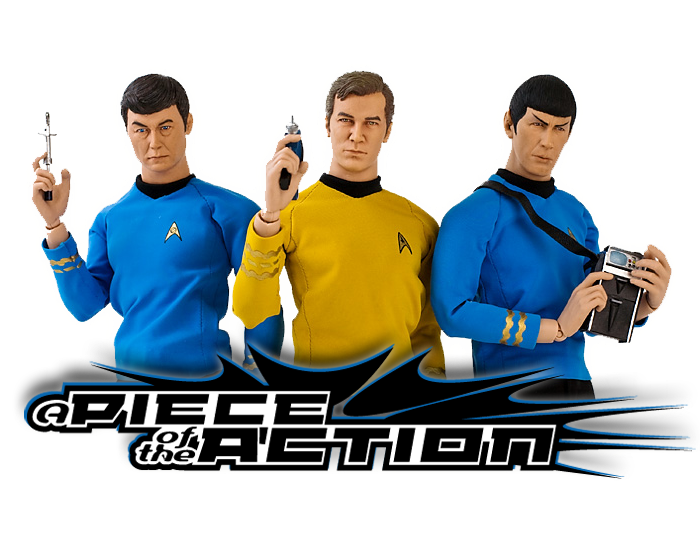 Wow, with your poses, you had more action than they showed in the entire movie! 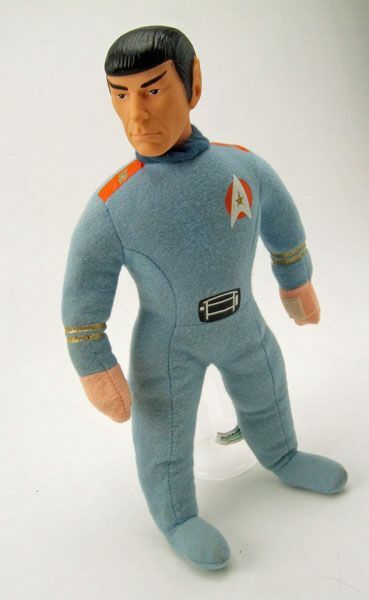 Those uniforms always reminded me of the kid's footie pajamas, though. 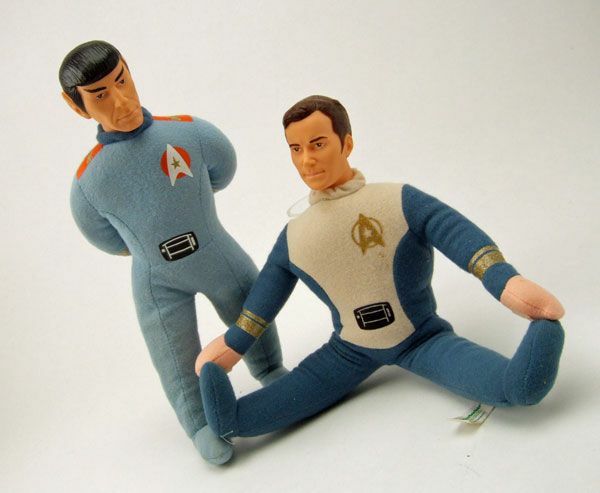 Well, at least we know now what Kirk and Spock look like in their footy pajamas! 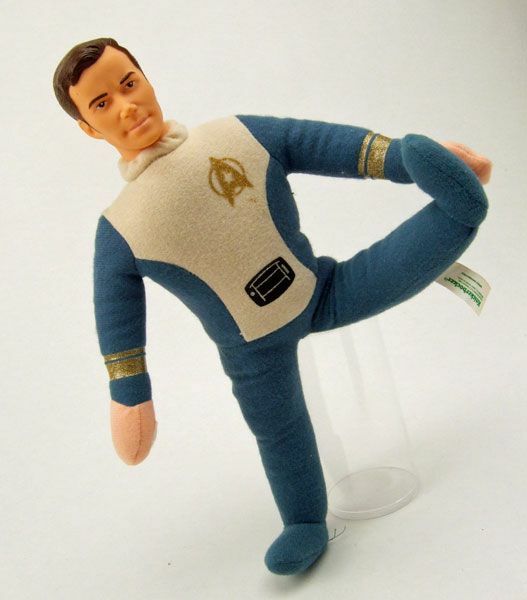 I was always being accused of being immature because of the Star Trek fan thing when I lived at home as a teen. If something like this was found in my room I would have been punched and tossed out! Wow. these are so wrong but I can't help look! 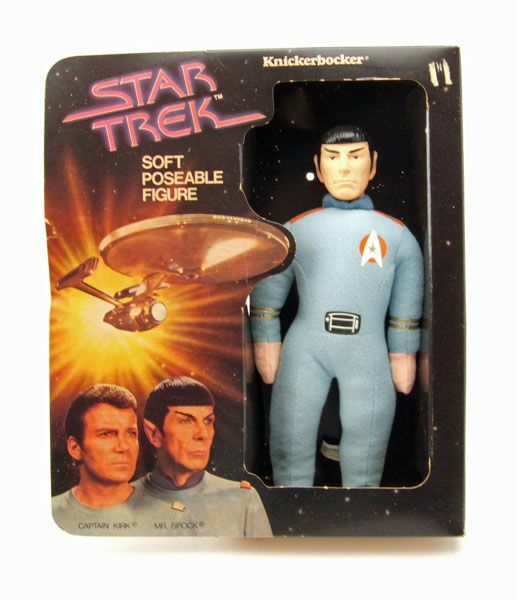 I had one of the Spock ones... wish I still did.